Lifelong Learning begins in the Needham Free Public Library Children's Department! All are welcome to visit this fun and vibrant space. The Children’s Department provides access to a wide range of quality materials, including carefully selected books, magazines and media in diverse formats for children through grade six, as well as parents, caregivers, and educators. The staff offers reference service, readers’ advisory assistance and a variety of fun and popular programming. Be sure to utilize this comfortable environment for the pleasures of reading and to work on homework and research. 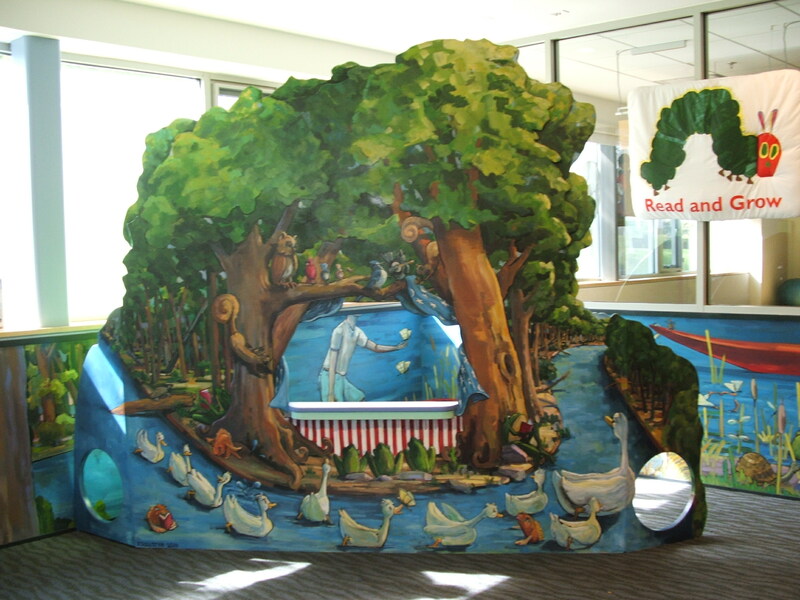 An area for quiet play and conversation includes a wonderful original puppet theater and mural. There are also tables for quiet study and computers for public use, including AWE computers for young children. Stop in soon and enjoy the fun at your library! BookVenturers is a Book Club for children in grades 3-5. Informational sites for books, reading, and recent releases.